French rapper PLK is a member of the Panama Bende collective, a band formed by seven young artists from Paris. Together, they released an album in 2017, ADN, which instantly became number one on iTunes on the day of its release. Since then, PLK has decided to begin a solo career and his first two mixtapes, Ténébreux (2018) and Platinum (2018), proved that he was right to do so. Born and raised in the 14th arrondissement of Paris, Mathieu (PLK’s first name) fell in love with hip-hop at a very young age. He says he wrote his first lyrics when he was only nine years old. 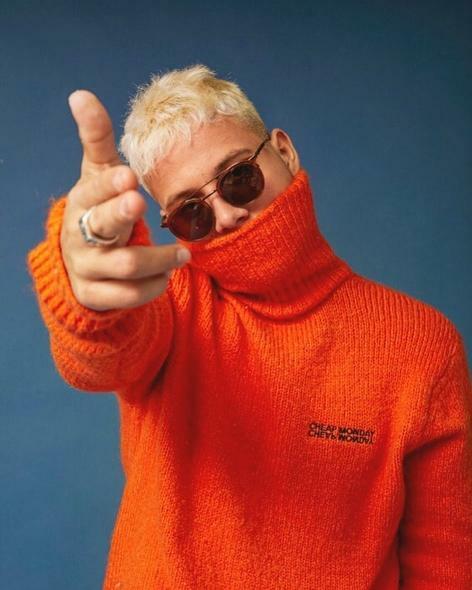 He was surrounded by rap culture throughout his childhood and adolescence – he was close to Nekfeu, who later on became one of France’s most successful rappers of the 2010s. Hopefully, PLK will have a similar career path. His sincere lyrics and impressive flow are his strongest qualities, among many other assets. Now based in Clamart, a city close to Paris, PLK released his first album in October 2018, featuring his old friend Nekfeu and SCH. The title is Polak, a reference to his alias and his Polish roots on his father’s side. On the cover, in front of a white building, he is casually walking a bear – an unusual, strong and impressive picture, which is an accurate representation of his unusual, strong and impressive music. 2019 started off great: in January, PLK performed at the legendary Olympia in Paris and many shows on his current tour have already sold out.